P.J. 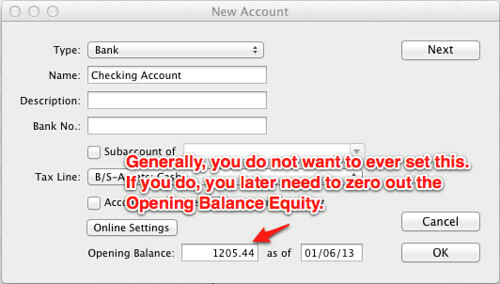 wrote in asking how to receive security deposit payments over time, such as in a payment plan. How do I properly track partial security deposit payments (Some of our tenants cannot pay full deposit up front—but might take an additional month to pay in partial payments). We need a easy way to know at any given time how much they owe. I read how to setup the security deposit in your book—but I am unclear on how to determine how much they owe vs. how much they paid. I can look at Chart of Accounts and see how much they have paid in Security Deposit—Current Liability account—but I cannot determine how much is remaining—any help would greatly be appreciated. Great question. Fortunately, after reading other parts of the book you practically know the solution already. You’ll want to create an invoice and invoice the tenant (job) for the security deposit. The key is you need to create an item, just like the Rent Item, but it is a new item to post to this tenant’s security deposit sub-account. 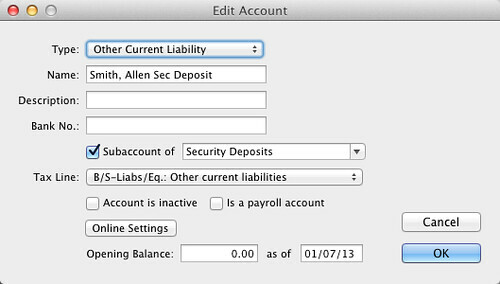 Create the item to use on the invoice for the security deposit. Invoice the tenant for the item, as in the rest of the examples in the book. Then go through the book’s normal receiving of payments process as the tenant pays things back. Receive payments as many times as they pay. Choose if you want (and are allowed) to impose finance charges to a late payment. How much does this tenant still owe in their security deposit? 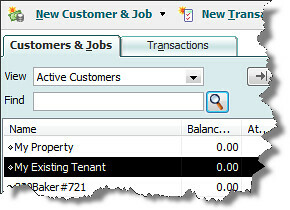 Look at the Customer center and see the tenant (job’s) current outstanding balance. 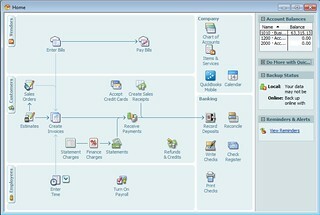 Or, click Reports > Customers & Receivables > Customer Balance Detail. If all of this seems complicated, we have a simpler way that works in most cases. Usually security deposits are paid upfront, so we teach a quicker method in our training. Also, we show instructions for combining the first month’s rent with the security deposit. There are many more screenshots (with detailed arrows) in our book than in the abbreviated instructions above. 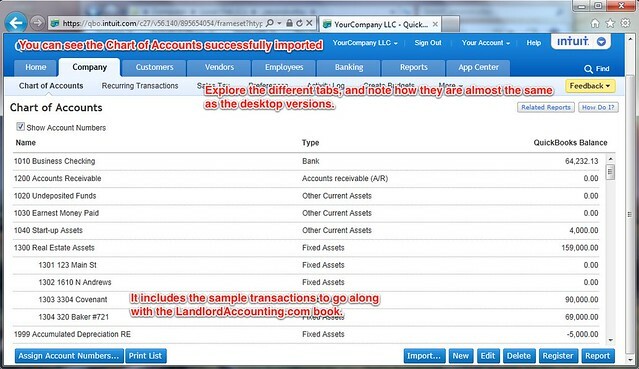 Learn about our Landlording Training for QuickBooks or order our full guide today. Money back guaranteed, no questions asked, read about some of the thousands of happy customers.